In the context of information warfare Libicki first characterized attacks on computer systems as being physical, syntactic, and semantic, where software agents were misled by an adversary’s misinformation . Recently cognitive hacking was defined as an attack directed at the mind of the user of a computer system . 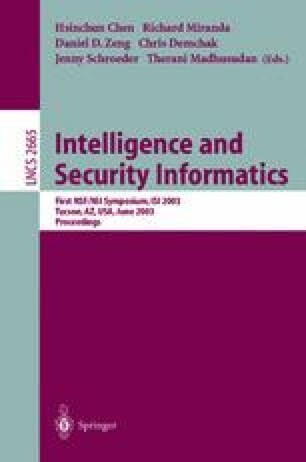 Countermeasures against cognitive and semantic attacks are expected to play an important role in a new science of intelligence and security informatics. Information retrieval, or document retrieval, developed historically to serve the needs of scientists and legal researchers, among others. In these domains, documents are expected to be honest representations of attempts to discover scientific truths, or to make sound legal arguments. This assumption does not hold for intelligence and security informatics.